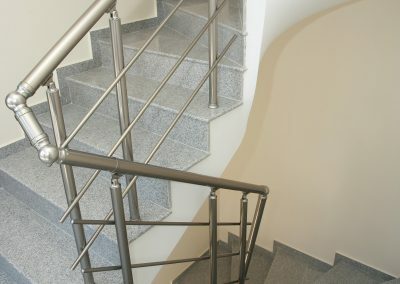 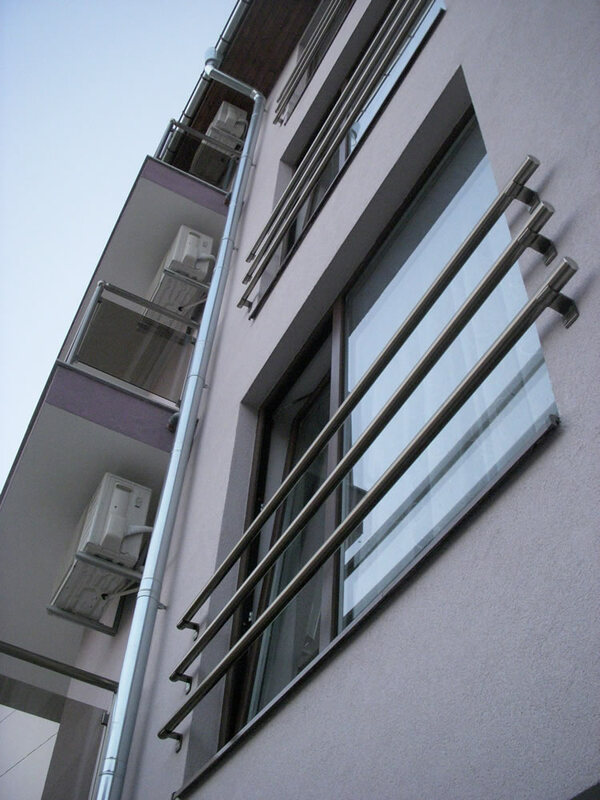 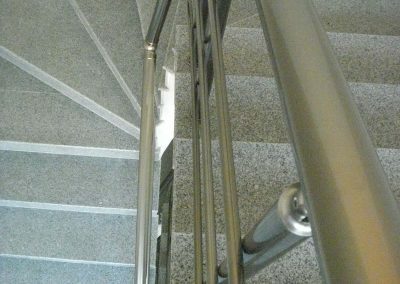 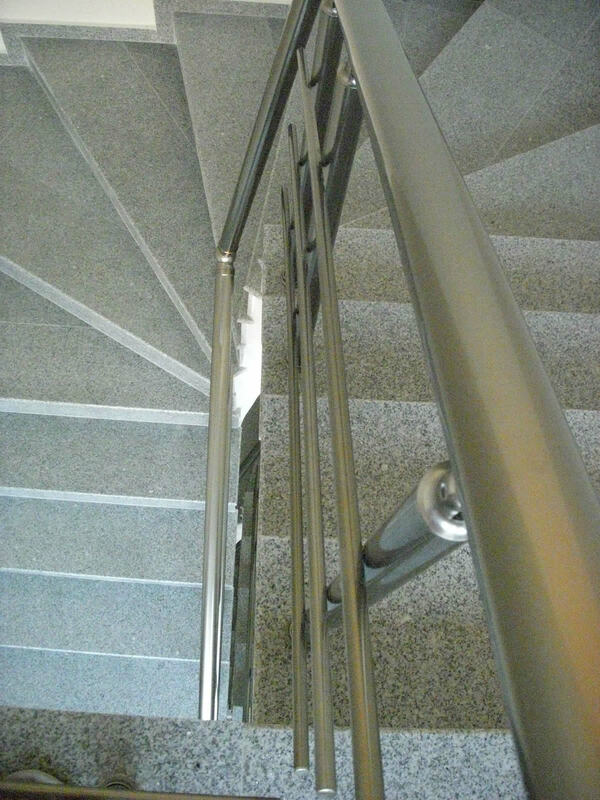 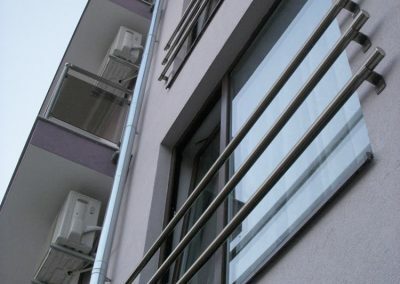 Common parts of the building: 9.00 m2. 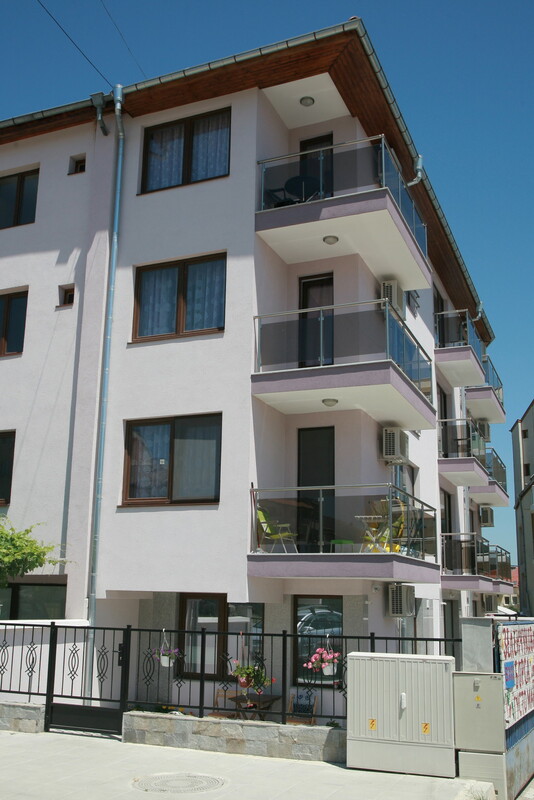 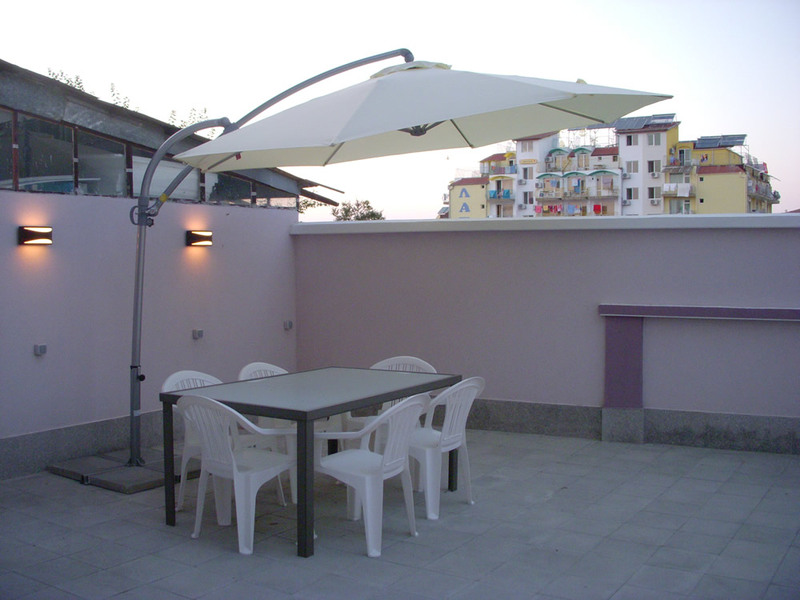 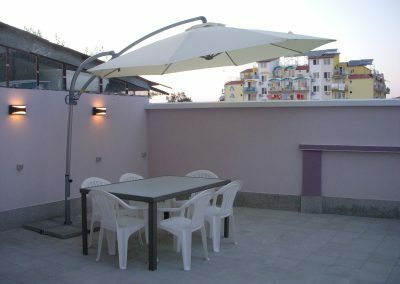 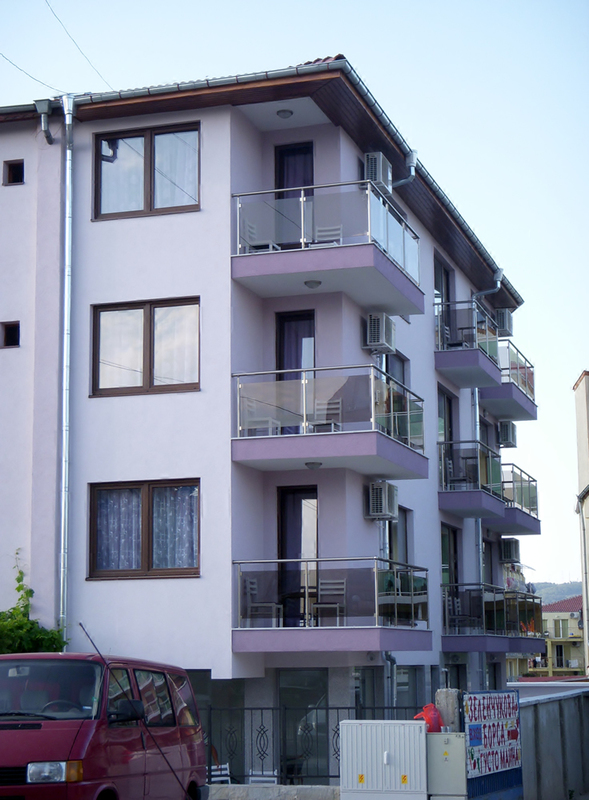 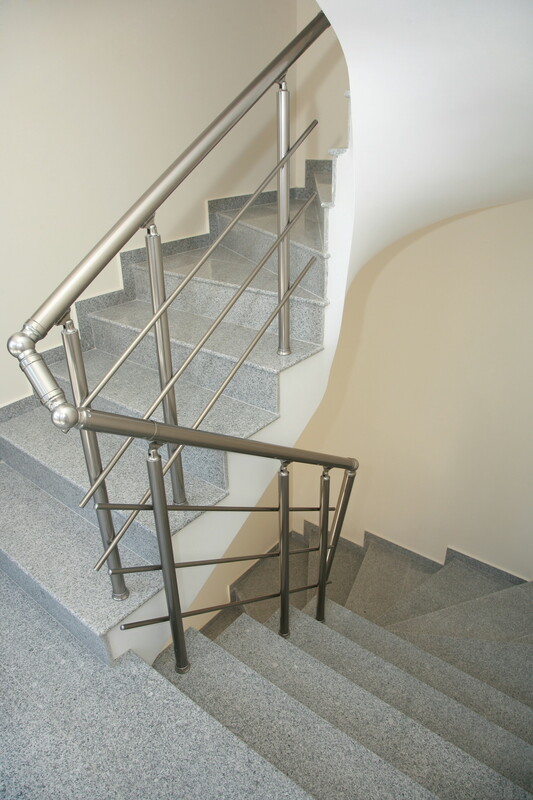 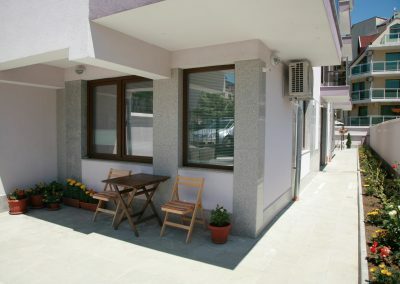 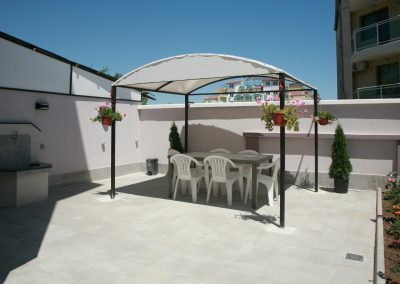 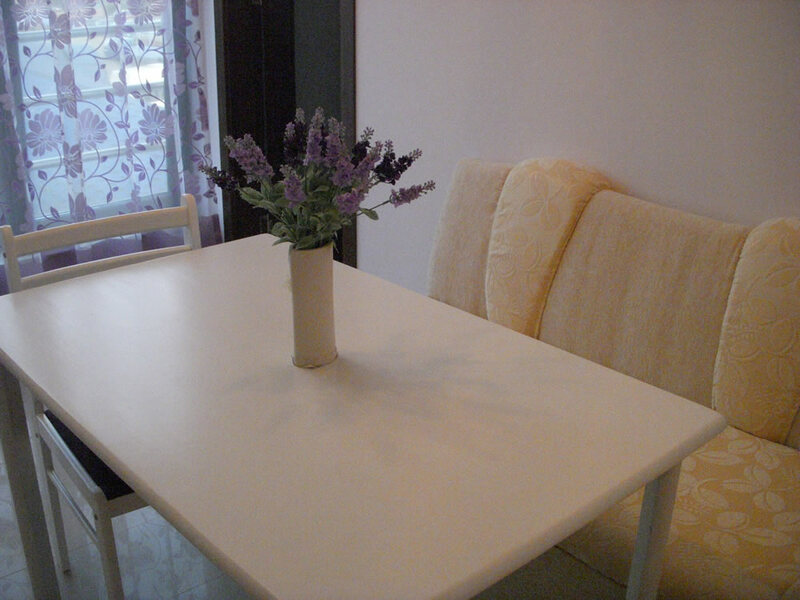 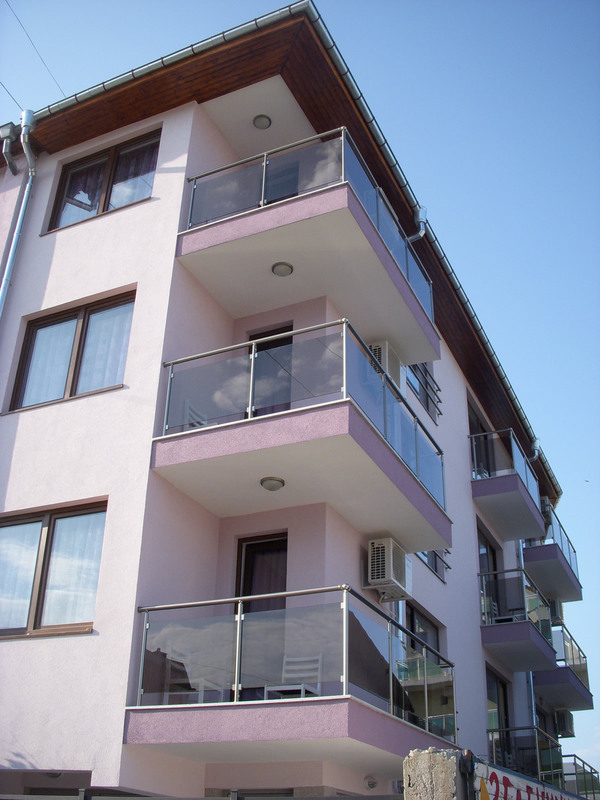 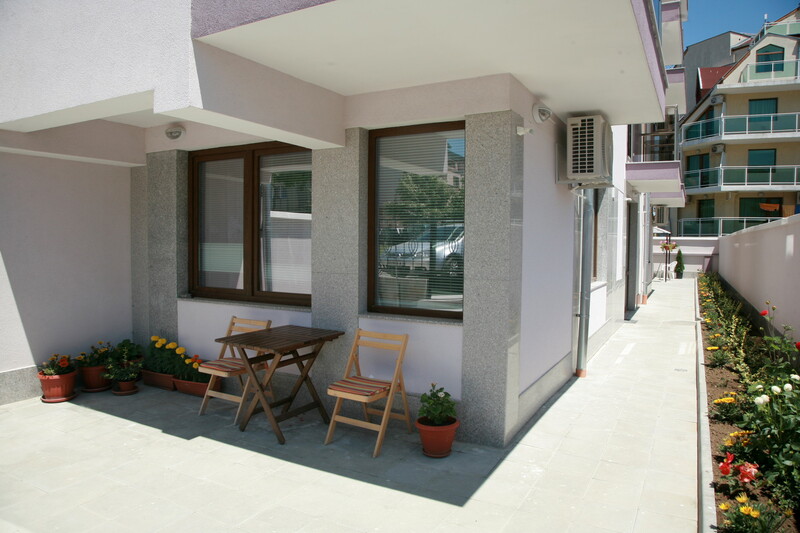 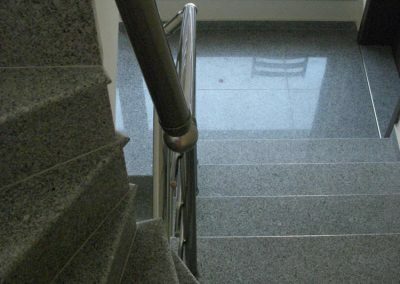 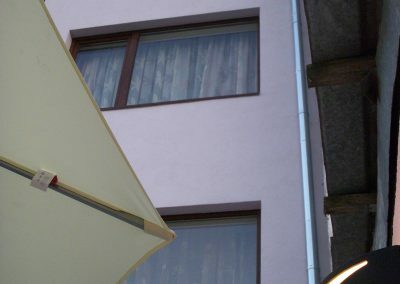 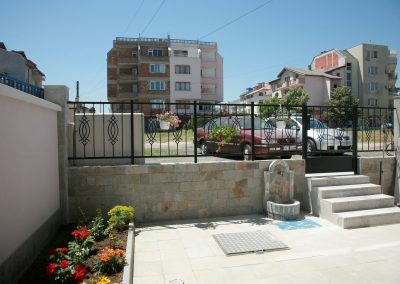 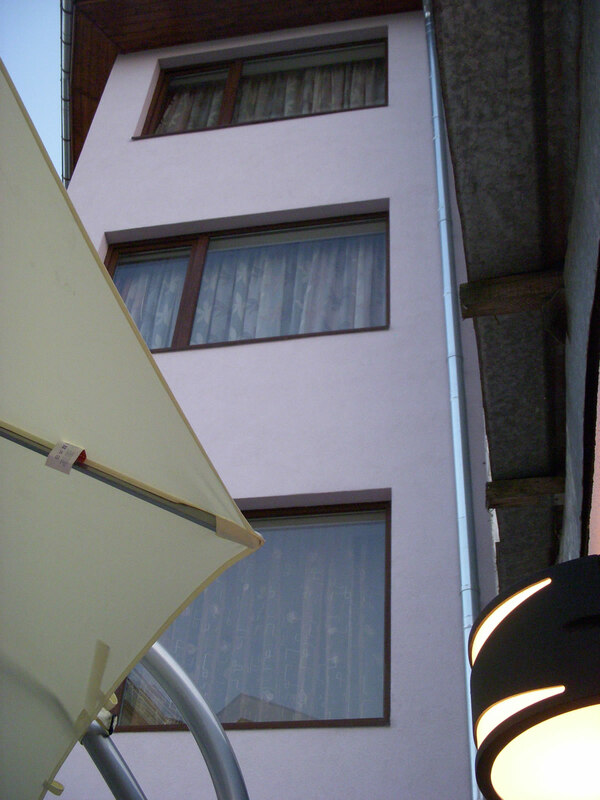 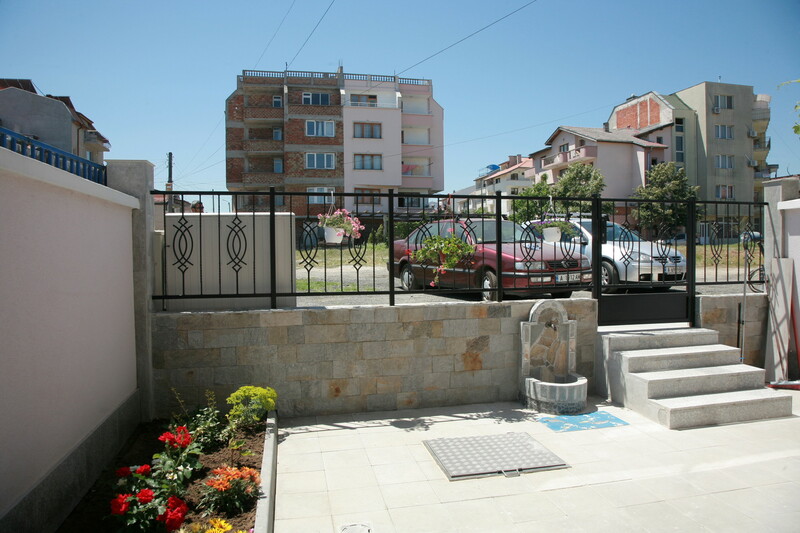 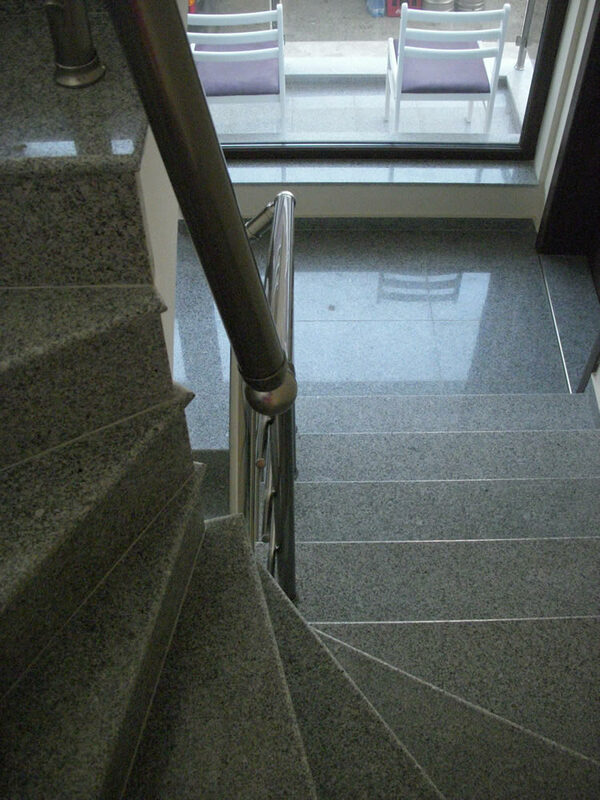 The building is located in a quiet and peaceful street, about a 10 min. 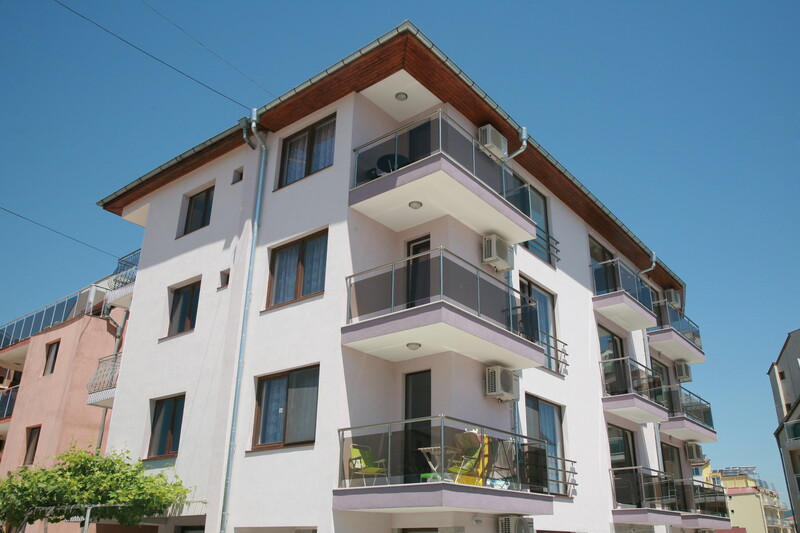 walk from the beach and the central part of the town.The area is populated with new, well built hotels and residential buildings. 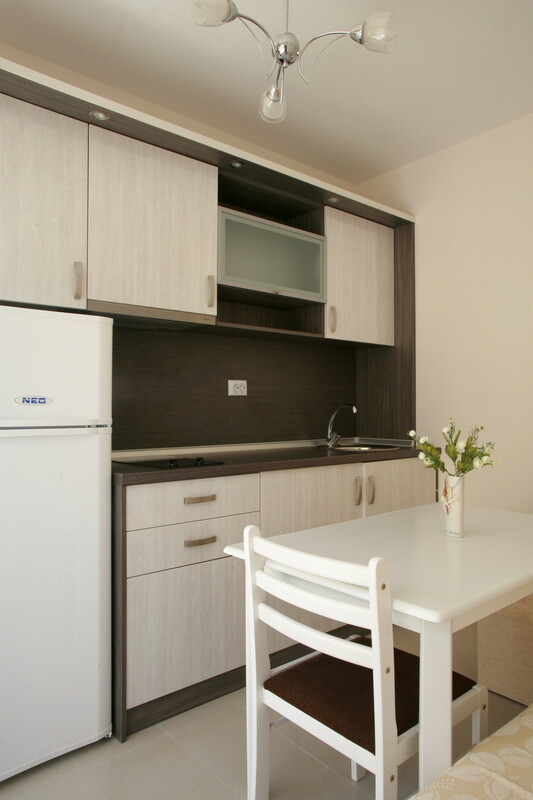 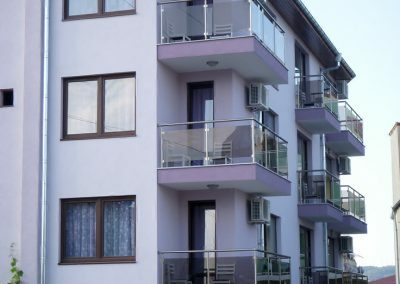 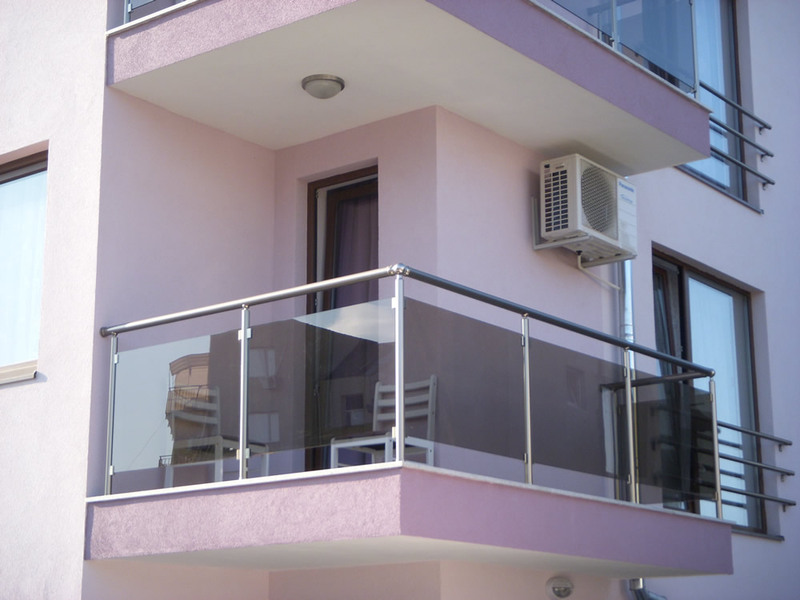 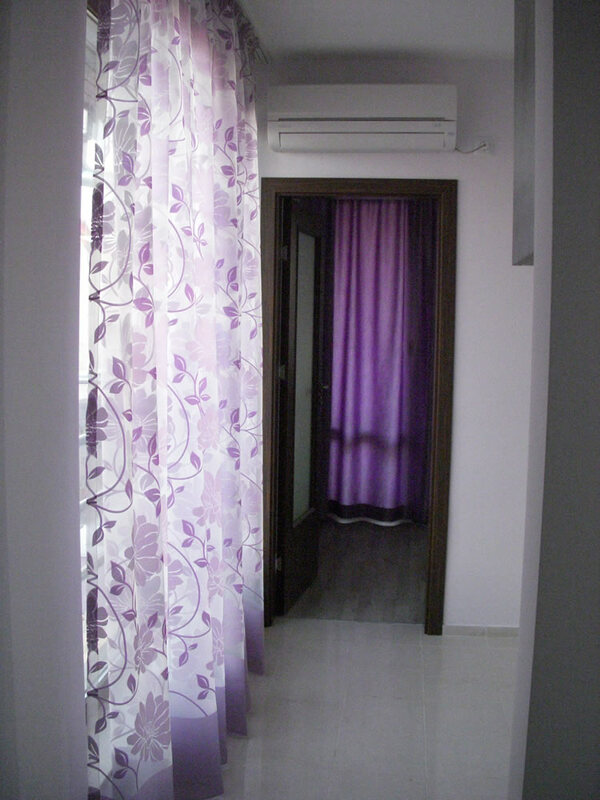 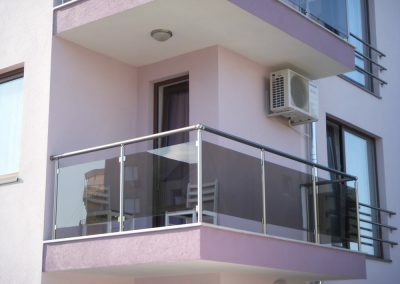 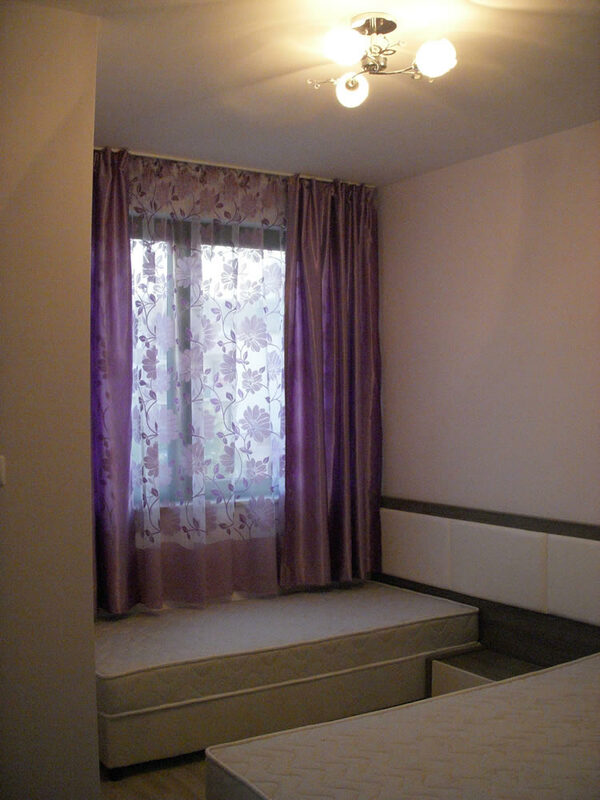 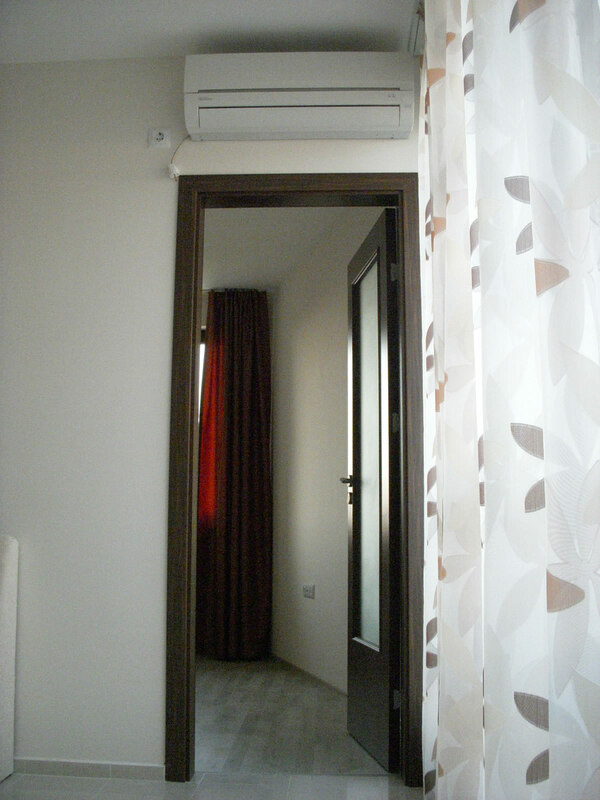 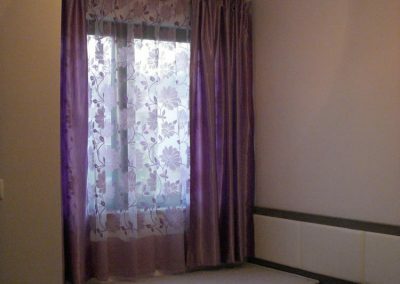 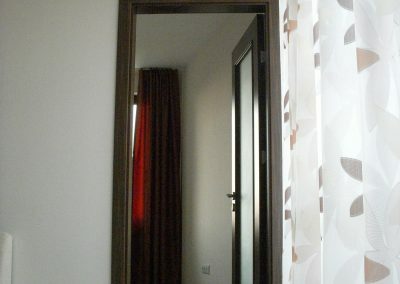 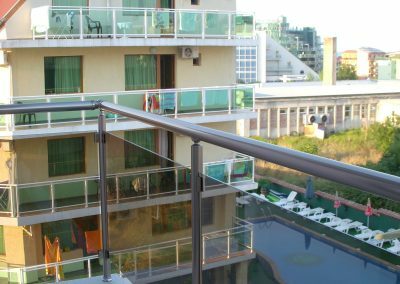 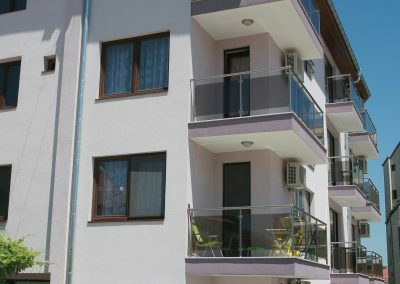 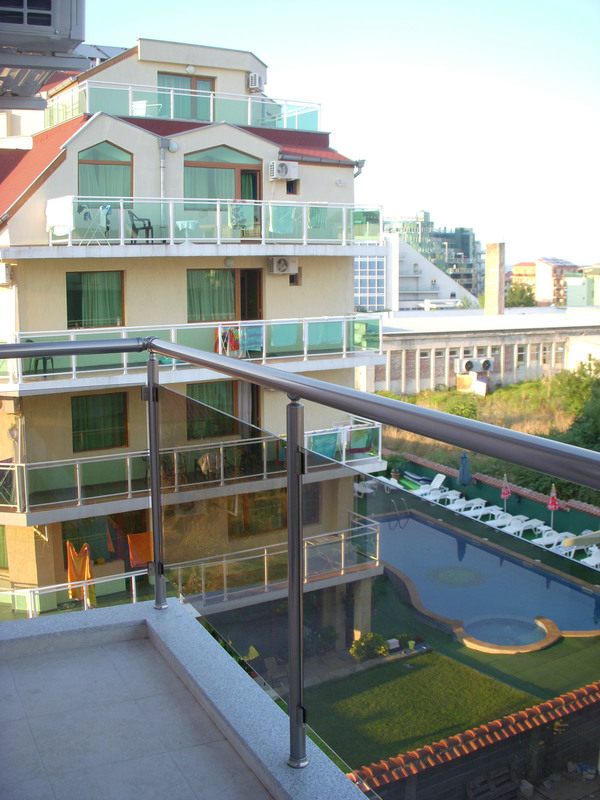 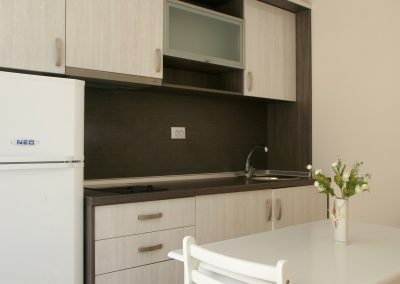 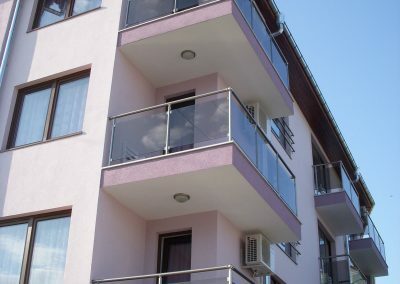 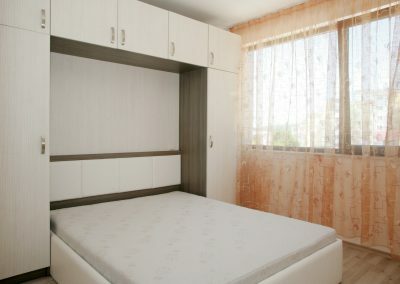 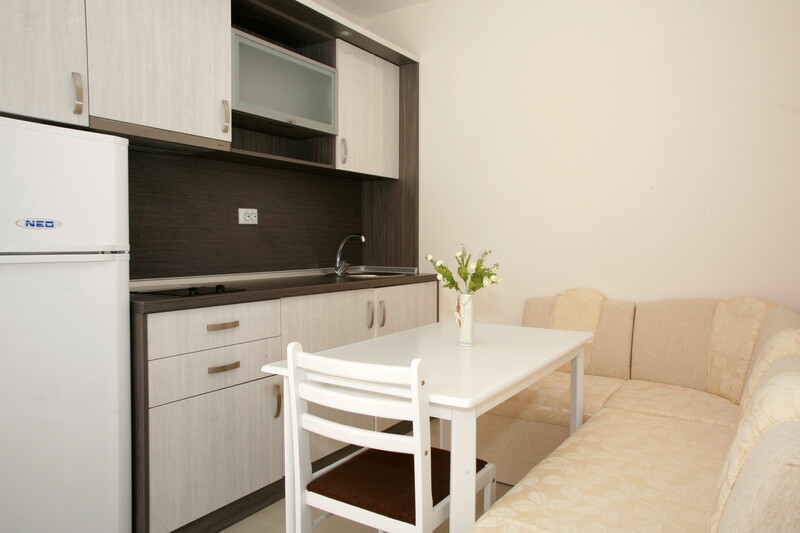 The apartment consists of: a living room with kitchen and dining area; a bedroom; a bathroom with WC; From the bedroom room, there is access to the balcony. 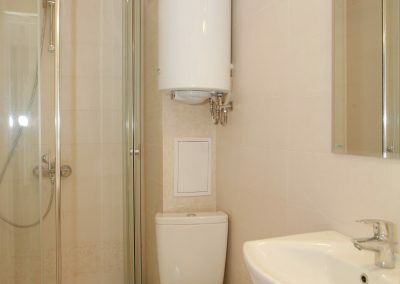 All the rooms are fully completed: floors – German laminate, Italian granite-gress in the corridor and the kitchen area; the walls are decorated in refreshing nuances; the bathroom is completed with Italian tiles and terra-cotta and is fully equipped. 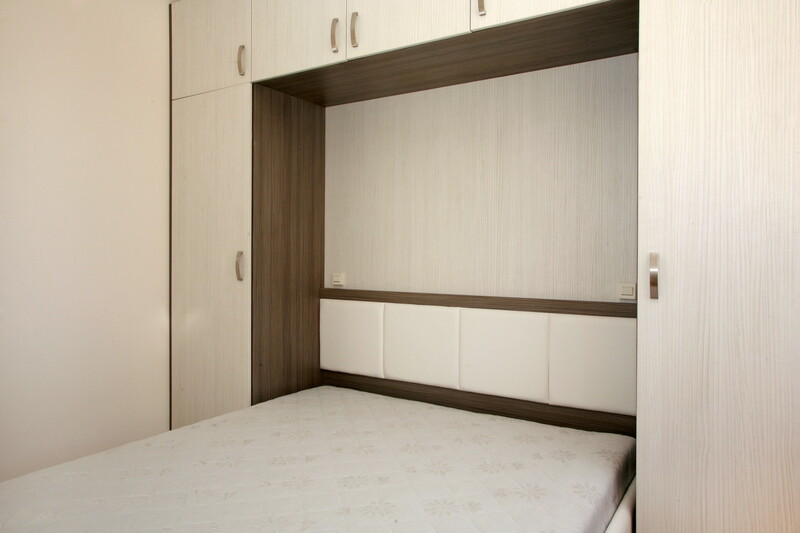 Furniture: Quality furniture modules have been used, by Morato, which are selected in accordance with a preliminary design taking into consideration the sizes of the rooms. 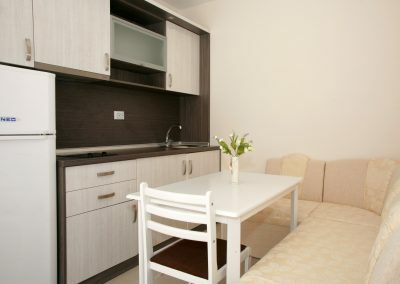 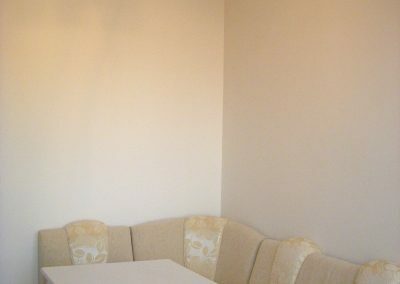 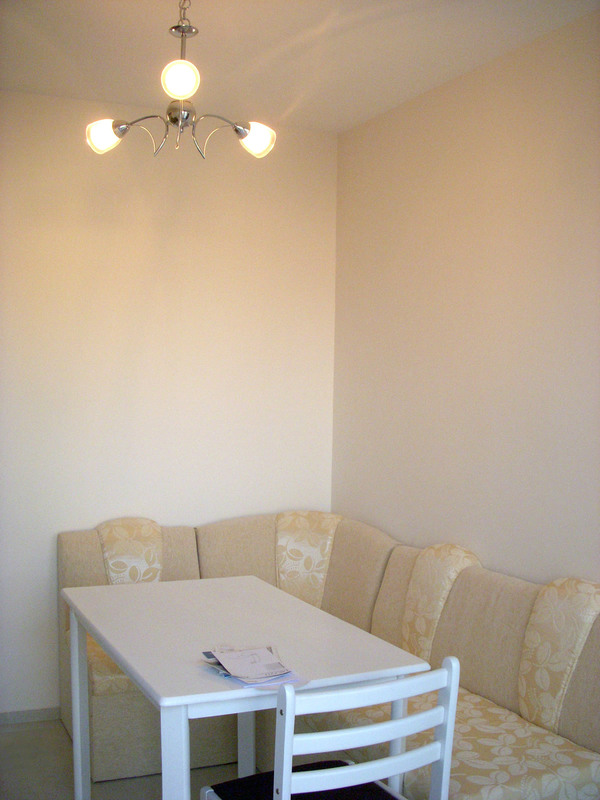 living room– a kitchen corner sofa, extendable, with table and chairs; built-in kitchen, including cupboards with integrated lighting, a kitchen sink– INOX, ceramic hot-plates, extractor hood, additional extendable work top, a cupboard for installing a built-in washing machine with provided connection points; lighting fixtures; and inverter air-conditioning unit, providing comfort in seasons. 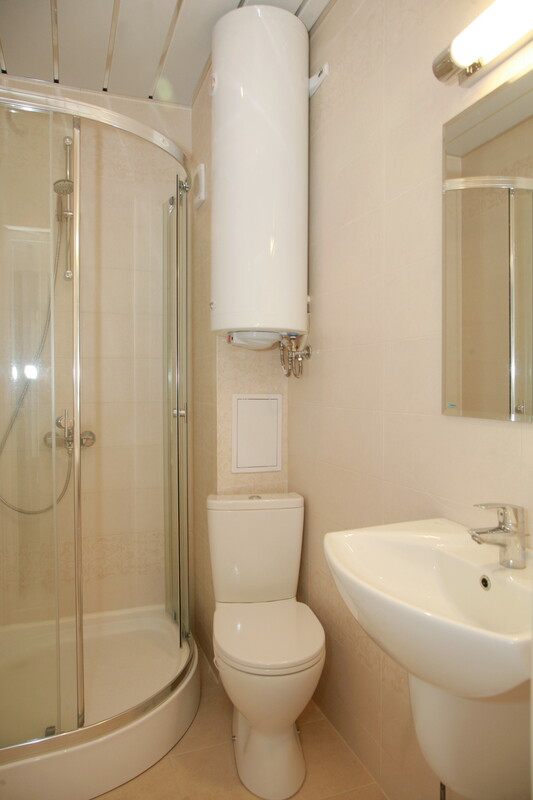 bathroom– shower cabin, wash sink with mirror and a lighting fixture, toilet dish, accessories and suspended ceiling by Hunter Douglas with integrated lighting fixtures.